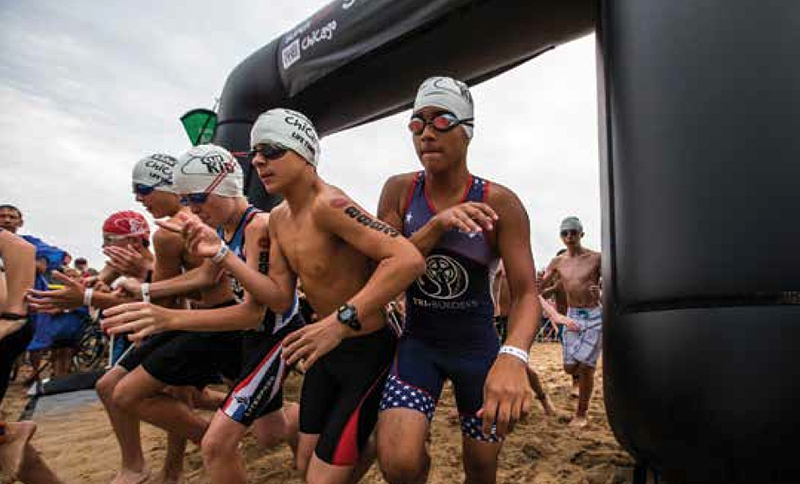 As hundreds of Chicago area kids aged 7-14 gear up for the Lifetime Kids Tri on August 27, we might wonder whether or not racing endurance sports at a young age is beneficial. Clearly, young kids can benefit from participation in endurance sports, but some have negative experiences. So why are some benefiting and some not? 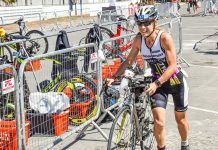 Endurance sports offer young athletes powerful rewards. Kids build confidence by conquering challenges and endurance races provide perfect challenges. 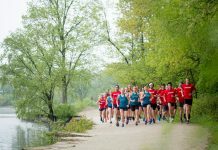 Young athletes learn that they can get through side-stitches, foggy goggles, bad weather and early alarms as they train for and participate in races. Endurance kids form a strong identity as an athlete for life. It is wonderful to see young kids describe themselves as someone who “loves to run (or swim, bike, etc. ).” Kids who have a strong, positive “sense of self” are more likely to stay out of trouble and thrive. Young runners, swimmers and triathletes tend to make great friends and so do their parents. Teams often travel together to parks, lakes, neighborhoods and towns that one would never have otherwise seen. The best reason of all is that families who are active together are strong, fun families; it is amazing to be able to enjoy something like a bike ride together as a family. From my experience as a coach and as a parent, there are no drawbacks if the adults in the sport have the right approach. But if not, there is a real chance the young athlete will be discouraged from further participation in these life-long fitness sports. I cringe when I see a coach or a parent yelling from the sideline, focusing far too much on race place/ times or only celebrating when a child manages to win something. Those are the kids that will be most likely to quit the sport when they enter adolescence and develop an opinion. Instead, find good coaches who focus on the appropriate, positive, long-term development of the athlete. It is important to have a patient, athlete-centered approach that respects developmental differences in each athlete rather than a “win-this-year” approach. 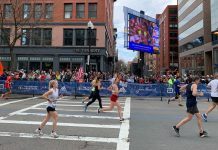 Good coaches encourage athletes to race appropriate distances, which allows kids to focus on speed, skills and coordination rather than tackling adult-length races. Good coaches make every athlete feel equally important to the group and they keep practices and racing fun. Above all, good coaches teach athletes how to celebrate their best effort, whether or not it results in a podium. Parents play the greatest role of all in determining a young athlete’s success. Good parents leave the coaching to a qualified coach, and celebrate every good effort, not only when their child takes home a medal. It can feel counterintuitive to an excited parent to just step aside and enjoy their child’s journey with its ups and downs, but that is exactly what will allow the child to know that they are safe to love their sport at whatever level they wish.